If you would like to add a message along with your order, you may do so below. The fabric shower curtain liners are made of the highest quality nylon material. The 100% Oxford nylon fabric with added barrier water protection are heavy-weight material woven with 200 denier Dupont thread and a 64 x 56 count. All of the nylon fabrics have a firm hand finish but are soft and supple. The shower curtain liners are the quality used in fine hotels. In fact we have supplied one of the top 50 rated hotels in the world. All shower curtains are constructed with a reinforced triple folded header, 1⅜ inches wide, reinforced with a strip of no-tear buckram, and have 12 metal rust proof grommets. Side hems are ½ inch wide, double folded. Bottom hems contain a heavy chain weight, covered with a mildew resistant material, which is stitched in to the bottom of the hem. We adjust the length of the liner shower curtain to be about 7 inches from the bottom of the bathtub and ½-to-1 inch from shower pan floor. The white and parchment shower curtain liners can be made with micro mesh insert that allows for light and air circulation. The 100% Nylon mesh insert has a micro mesh knit pattern. 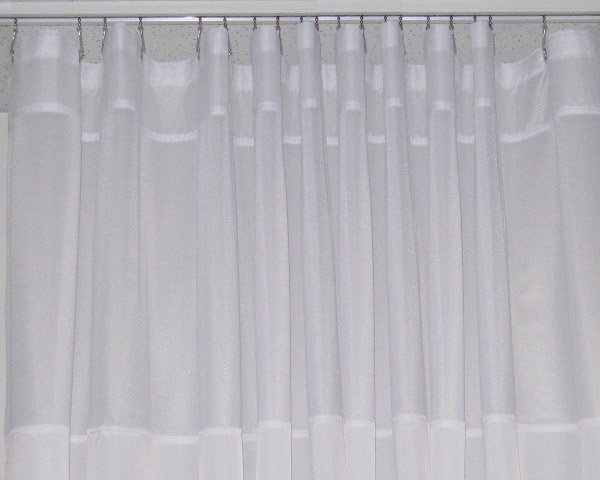 The mesh curtain is reinforced and double stitched on to the shower curtain for added durability. The solid curtain liners are available in white, parchment, or champagne. 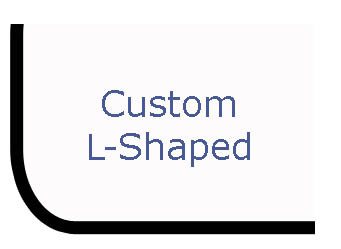 Standard sizes and custom lengths/widths are available. We will adjust the height of your curtain based on your ceiling height and the 2½” that the TRAX hook hangs down from the ceiling. If you have a different style shower rod or would like an exact length please make a note in the message box. The shower curtain liners clean easily with soap and water. They can be machine washed with the gentle cycle using mild detergent and no bleach. The liners can be line or tumble dried on a low setting. A fabric care tag is sewn into the shower curtain liner. The shipping charge for ordering just a shower curtain is $10. It is sent via US Priority Mail. To Canada we use US Priority Mail International and the single shower curtain charge is $30. When curtains are ordered along with a track the total shipping charge is $40 for the whole package and it is sent via UPS. 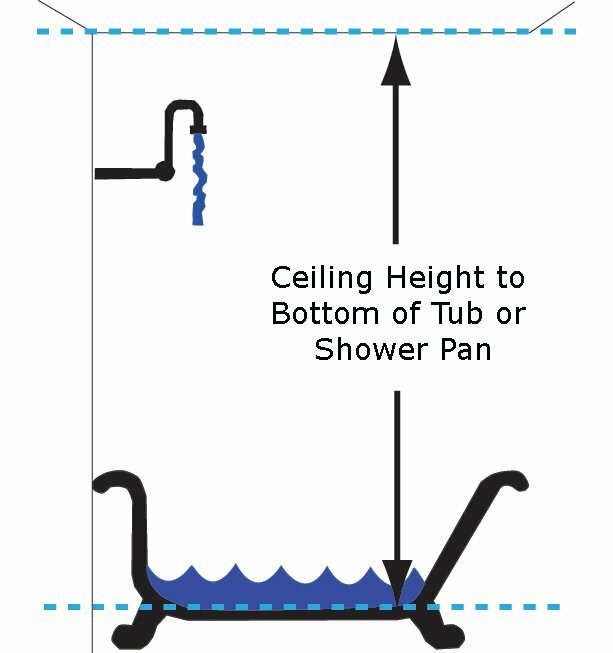 The distance from the ceiling to the bottom of the bathtub or the bottom of the shower pan. We adjust the length of the shower curtain liner to be about 7 inches from the bottom of the bathtub and ½-to-1 inch from shower pan floor. If you need an actual curtain length or would like something different than the recommended length for your tub/shower add a note in the message box.